The hottest part of summer is here. We think about keeping ourselves cool and if we have chickens, we’re concerned with how to keep chickens cool. 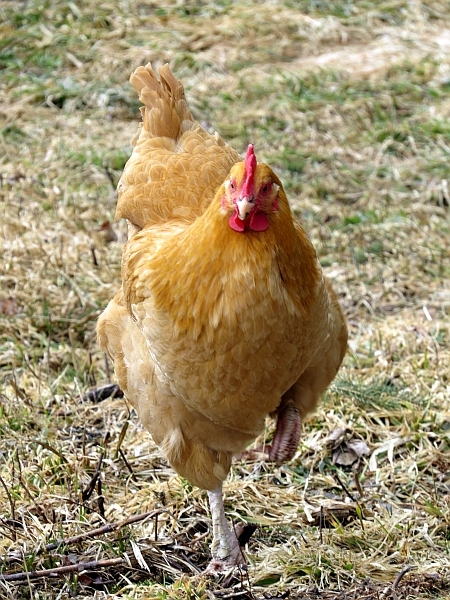 If your chickens are spreading their wings, neck outstretched, and panting, they are too hot. These tips will help you keep chickens cool and put your mind at ease a bit. Spray the roof of the coop. Cooling down the roof can cool the inside temperature 10° quickly. Spray the roof until the water running off is cool. If you live in a particularly hot area I suggest putting a sprinkler on the roof for convenience. Adjust it so that it sprays only the roof, and turn it on and off at the faucet. 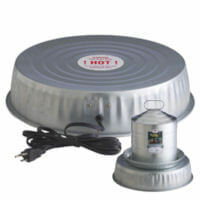 Place an exhaust fan at the high point of the ceiling. It will pull the hot air out at the top and the cooler air in through the windows. Let it run all night if possible. Chances are the neighbors have their windows closed and the AC on and won’t hear the fan. Provide shade. That seems like a no-brainer but there might be something here you hadn’t thought of. Shade the windows on the south and west sides. You can hang a curtain rod outside the coop. Leave a couple of inches between the cloth and window to allow air flow. Shade the pen by clothes pinning a reflective tarp on the outside wall. It will provide shade up against that wall and reflect the heat. Chickens will stand in a shallow pan of cool water. I thought at first that I had some chickens that weren’t very bright, then I realized they were doing it only in the summer. Add a block of ice and place the pan in the shade to keep the water cool longer. Make a muddy spot in the shade. It doesn’t need to be dripping wet, just damp. Add a block of ice to their drinking water. I water my chickens outside most of the year because it keeps the coop neater but on hot days, they’re waterer is inside, out of the sun. If possible, let them spend the day on grass in the shade. Freeze water bottles and place them in the coop. It might take them a while to figure out but eventually they might start using them. If you discover a chicken in serious distress you should cool the bird by submerging it in cool, not cold, water. Let it shake off and dry indoors or in a cool corner of the barn. Be sure the chicken is drinking. If you think it needs a boost, mix up a batch of homemade electrolytes. Remember to keep air circulating, provide shade, and act quickly when you have a chicken in distress. Stay cool! 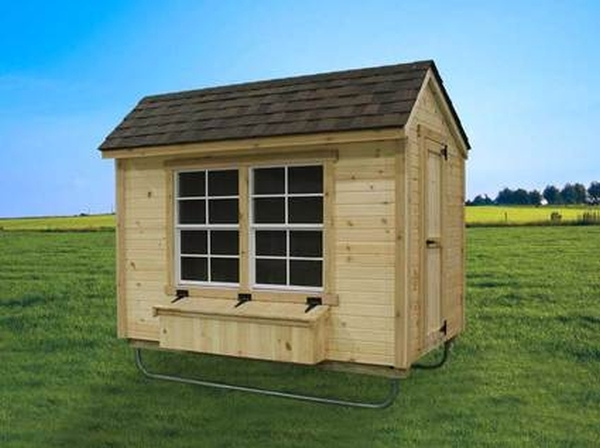 This entry was posted in Homesteading, Poultry and tagged chicken, poultry on July 20, 2015 by Homesteader's Supply.